PA1 Level 2 Principles of Safe Handling and Application of Pesticides is a pre-requisite for this course. 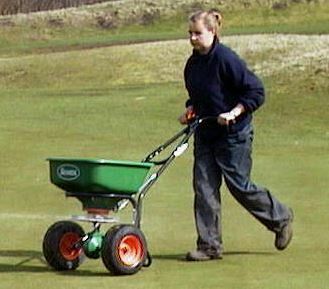 PA6G Applying Pesticide Pellets or Granules to Land is necessary if you are applying products such as Kerb Granules, Renovator Pro, Cleanrun Pro and Weed & Feed type combinations and other moss killers, so it's particularly applicable to Lawn Turf Professionals or domestic users applying to land/lawns other than their own. These qualifications are for operators of pesticide application equipment and pest controllers. If you are applying pesticides in a commercial role/commercial quantity then you are legally required by the Chemicals Regulation Directorate (CRD) (Control of Pesticides Regulations 1986) (as amended) to take this qualification. All independent assessments are undertaken on a separate day, a few days after the training.